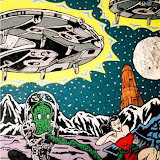 I have good news for art fans, Steve Stones is showing his art at Mel’s Thrift Shop in West Haven! What is Mel’s Thrift Shop? It’s more than just thrift store goods; Mel’s goal is to keep good things out of the landfill, encourage reusing and recycling goods as well as up-cycling and retail space rental! Additionally, Mel has also done some great things for the Ogden community and she definitely deserves some recognition. Mel’s hours are Tuesday through Saturday from 10am-5pm, and her shop is located at 1678 S. 1900 West in West Haven. PLEASE VOTE FOR MEL’S ENTRY IN THE WELLS FARGO WORKS CONTEST HERE AND OUR COMMUNITY WILL RECEIVE $5,000 FOR A LOCAL CHARITY IF SHE WINS! Hello Steve Stones fans! 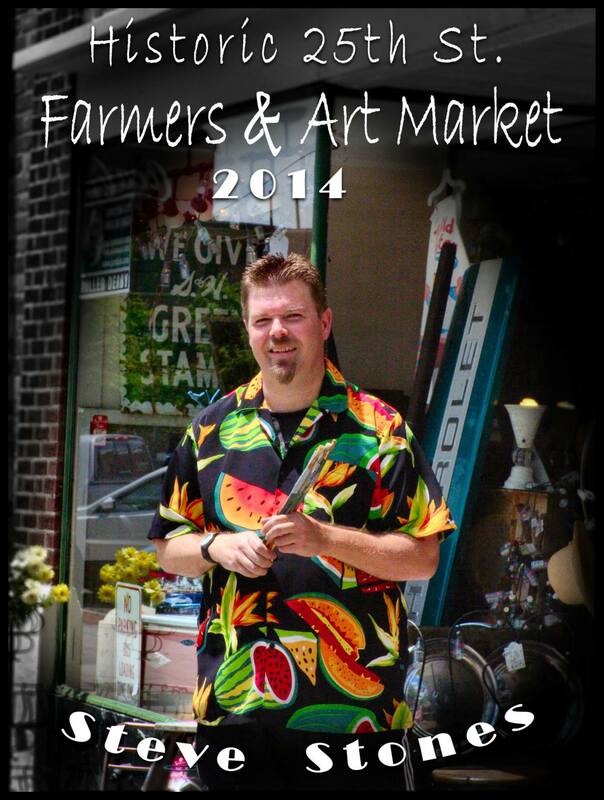 Steve loves you so much that he’s decided to do the 2014 Ogden Farmers and Art Market! To get a jump on this weekly event, Steve will be teaming up with his friend Mike Hurst of Hurst’s Handblown Glass and our friends at Sock Monkey’N Around to make your Saturday mornings GREAT! The pair will be kicking off a display this Saturday from 8am through 1pm during the Ogden Farmers and Art Market, and will be located at 236 Historic 25th Street for the duration of the season. So stop on by, grab some tasty locally grown food, and say hello! Mark your calendars! Steve Stones Art will be participating in the Tenth Annual Ogden Arts Festival, which will take place indoors at Ogden’s Union Station. Doors are open Friday, June 7 from noon to 8 pm and Saturday, June 8, from 10 am to 6 pm. There will also be a car show June 7 located on Ogden’s Historic 25th Street from 5 pm to 9 pm. Bring your cameras and your smiles! Simple Treasures Spring Boutique Show at Ogden’s Union Station! Spring has nearly sprung and it’s time to check out the Simple Treasures Spring Boutique at Ogden’s Union Station. The event begins on Wednesday, March 13 and continues through Saturday, March 16 during the hours of 10am-6pm. Admission is $1, and there will be treats and treasure hunts! You can contact Simple Treasures Boutique at 801-814-8670 and view their website at http://www.simpletreasuresboutique.biz. 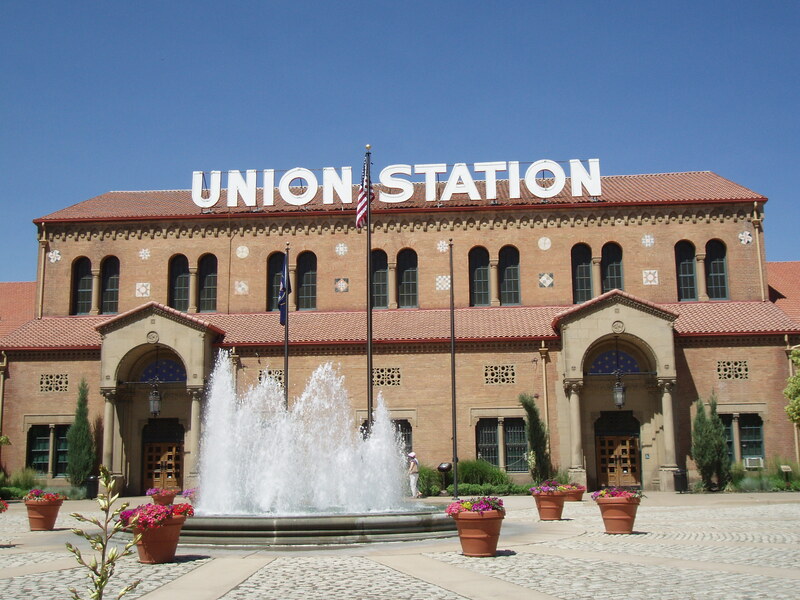 If you’re feeling nostalgic and would like learning a little local history, there are several museums at Ogden’s Union Station worth seeing, so why not make a day of it? Family Day Pass $15 Admits up to 2 adults and up to 4 children. Don’t forget to enjoy Steve Stones and Brent Hale’s art at Gallery at the Station as it’s showing for the entire month of March and is free to see!